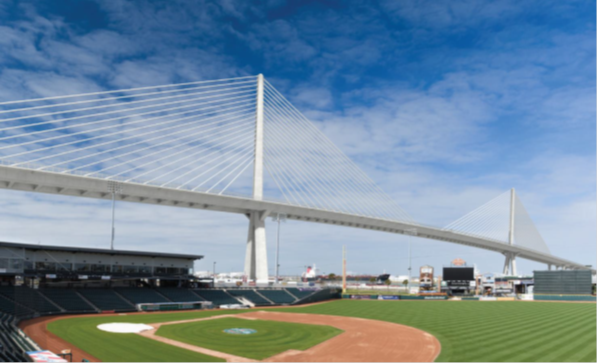 The Harbor Bridge Replacement Project includes the construction of a new, cable-stayed bridge over the Port of Corpus Christi Ship Channel. The design includes a main span of 1655 feet, which when completed, will be the longest cable-stayed bridge span in the United States. The purpose of the project is to address structural deficiencies and navigational restrictions of the current bridge, and improve safety, connectivity, and level of service in the area. The new bridge will allow larger ships to deliver their cargo to the Port of Corpus Christi, serving as an economic catalyst for the region and the State of Texas. The scope of the comprehensive agreement includes the design, construction, finance, and 25-year maintenance of the project. The inclusion of maintenance in the contracting mechanism provides an incentive for the contractor to minimize life cycle costs, an important aspect of sustainability. Rendering of the future bridge. The Transportation Commission, which oversees TxDOT’s work, made clear that they wanted sustainability to be a key part of the bridge replacement project. When the original bridge was built in the 1950s, it was a catalyst for growth for the City of Corpus Christi and the coastal bend region. The Commission saw the bridge replacement as an opportunity to enhance the social, economic, and environmental aspects of the community. In conversation with the FHWA Texas Division office, TxDOT expressed an interest in learning more about INVEST and how it could be used on the project. 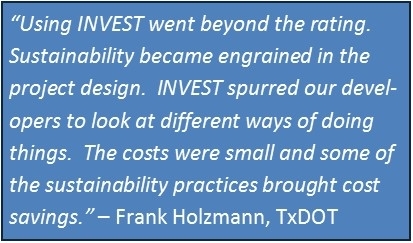 As such, in July 2014 the FHWA Texas Division hosted a one-day workshop on INVEST at the TxDOT Corpus Christi District. Approximately fifteen participants attended this event, representing private consultants, the City of Corpus Christi, TxDOT, and the Corpus Christi Metropolitan Planning Organization (MPO). TxDOT found it particularly helpful that an Ohio DOT project manager served as one of the instructors at the workshop and shared Ohio DOT’s experience using INVEST on the Cleveland Innerbelt Bridge replacement. This brought hands-on lessons from using the tool to improve the sustainability of a major bridge project through the procurement process and the project development phase. The next month, TxDOT brought together an INVEST working group of TxDOT staff and pre-scored the Harbor Bridge Replacement project in order to see what level of INVEST rating could be achievable. 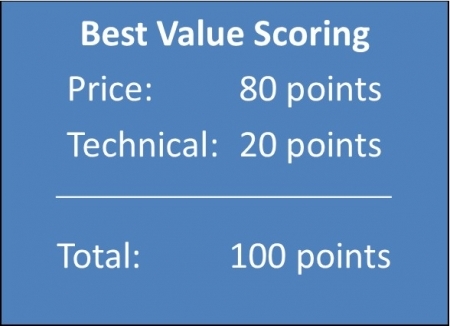 The group assessed how many points they thought the project could earn on each INVEST criterion. They determined that a “Platinum” level was achievable on the PD INVEST module and a “Silver” rating was achievable on the OM module. The table below provides examples from the pre-scoring workshop. Can get at least 1 point for Life Cycle Cost Analysis (LCCA) of bridges. An additional point for LCCA of stormwater is achievable. Can get 2 points for overpass clearance improvements for shipping. An additional 4 points are achievable by implementation of a no-idling policy and signage and provision of new dedicated truck delivery parking area. Can get 3 points. TxDOT uses warm mix asphalt. Include a sustainability manager on the team to track progress towards sustainability commitments. Sustainability plan (including INVEST rating). The team of Flatiron/Dragados received the highest score and was given a conditional award in April 2015. Their bid was $845 million for the base scope design and construction price and $128 million for the 25 year operations and maintenance price. Flatiron/Dragados committed to achieving “Platinum” INVEST rankings for Project Development and Operations and Maintenance. These commitments will be incorporated into the final contract. TxDOT and the contractor will monitor commitments included in the sustainability plan during construction and also score the Harbor Bridge project post development to ensure that the commitments to INVEST “Platinum” are met. The winning bidder’s sustainability plan includes a number of impressive sustainability practices listed below. The INVEST criterion to which each relates is in parenthesis. 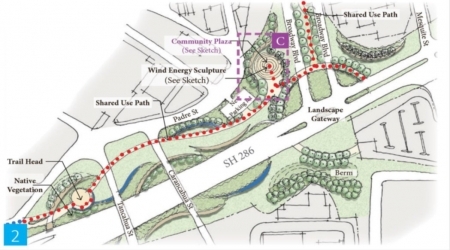 Map of proposed landscaping and connectivity features. Rendering of proposed community plaza. 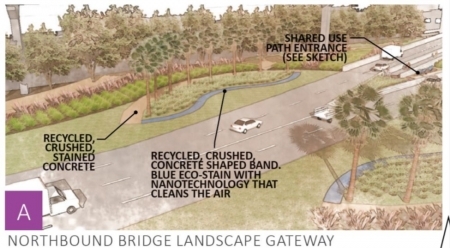 Rendering of Northbound Bridge Landscape Gateway. 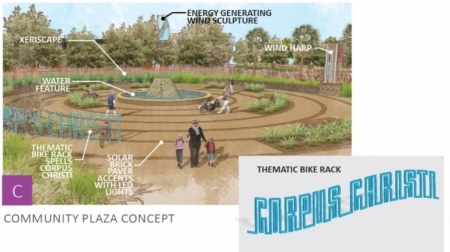 Sustainability became engrained in the project design. Numerous sustainability practices are included and will be contractually obligated and tracked. Embedding INVEST in the procurement process provided an incentive for the bidders to achieve high sustainability outcomes at low cost. The inclusion of maintenance in the contracting mechanism provides an incentive for the contractor to minimize life cycle costs, an important aspect of sustainability. The costs of sustainability improvements were small and some of the sustainability practices brought cost savings. The practices brought demonstrable social, economic, and environmental benefits to a community that had previously felt negative impacts from the old bridge. The peer exchange between Ohio DOT and TxDOT proved valuable and may be a model moving forward for other agencies. TxDOT is considering using INVEST for additional sustainable infrastructure improvements in the future as part of major multi-million dollar planning and construction efforts throughout the state. All images courtesy of TxDOT.